ARAS - SteepGraph Systems Pvt. Ltd. » SteepGraph Systems Pvt. Ltd. Global companies using Aras include XEROX, Motorola, Boeing, Lear Corporation, GETRAG, Carestream Health,Freudenberg, GE, Hitachi, Lockheed Martin, Textron, TEVA Pharmaceuticals, US Army and hundreds of others. Aras® offers a wide range of PLM software solutions that enable performance driven companies to improve innovation, collaboration and coordination on a global scale. Our comprehensive applications address a wide range of strategic business initiatives across the entire product life cycle, including Program Management,Product Engineering and Quality Planning. Aras PLM solutions are based on the Aras Enterprise Application Framework, a modern model-based SOA designed for the development of highly scalable, flexible and supportable applications that deploy quickly and adapt easily to evolving business needs while delivering bottom line business results at the lowest total cost of ownership in the industry. With Aras, there are never any PLM software licenses to buy. 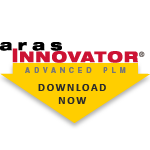 Aras eliminates PLM license expenses by offering subscription packages which provide enterprise-class support, subscriber-only solutions, free training, advanced productivity tools and FREE upgrades, regardless of how much the solutions are customized.